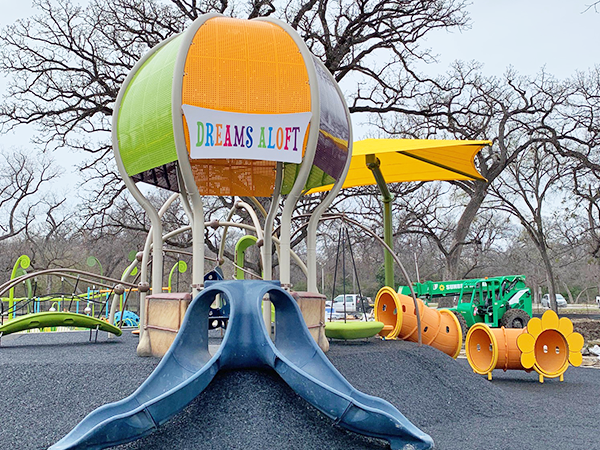 I am so excited about Dallas Fort Worth’s newest all-inclusive playground! Unlike a basic playground, which can be extremely limiting for children with special needs (try rolling a wheelchair around in wood chips), this new playground located in Fort Worth’s Trinity Park is designed to accommodate both children with disabilities and typically developing children. 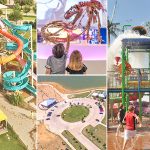 Now we will have another awesome place in DFW where kids with special needs can go down the same slide, with their able-bodied sibling or friend. 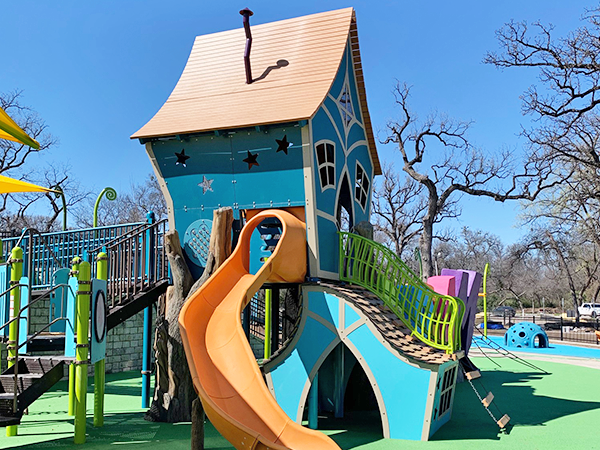 Once I show you the pictures of this brand new park, you’re gonna see why Dream Park is the New Fort Worth Playground Everyone is Talking About! 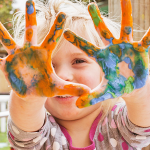 Looking for more inclusive playgrounds? 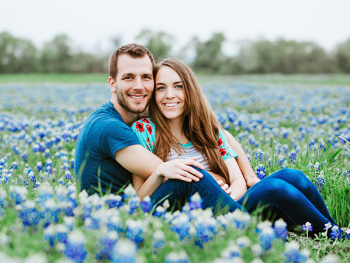 Come found out Why Frisco’s Hope Park is the BEST Playground in Collin County. 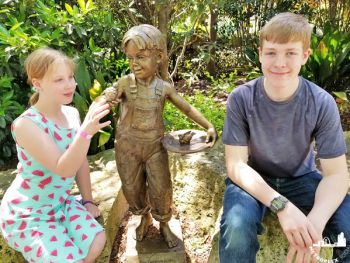 It started in 2013, when Rachel Churchill, while visiting her parents, took her son to a new playground in Port Washington, Wisconsin called Possibility Playground. Unbeknownst to Rachel, it was an inclusive playground (one that goes above ADA compliance) designed for children of ALL abilities. 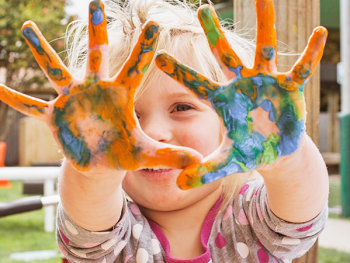 She had never heard of an inclusive playground before, but loved the idea. 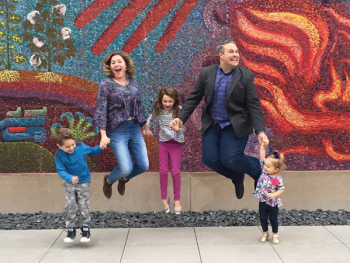 This local mom thought to herself, shouldn’t all kids be able to play? 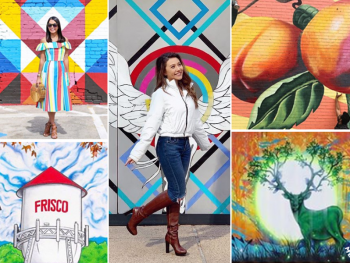 It was that trip that inspired Rachel to build an inclusive playground in Fort Worth, TX. 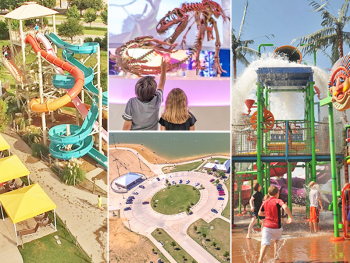 Dream Park is a playground designed to accommodate ALL children–a place where a child with special needs can go down the same slide, with their able-bodied sibling or friend. This playground is unlike any other in our community. 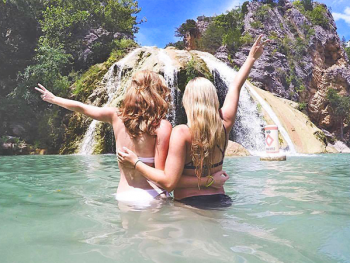 It is a destination playground for families all over North Texas, as it’s one of the largest inclusive playgrounds in the state of Texas. Inclusive playgrounds, ones that go above ADA standards, are expensive and many cities simply cannot afford them. This means that usually it is private citizens and non-profit organizations who raise the money needed to build. 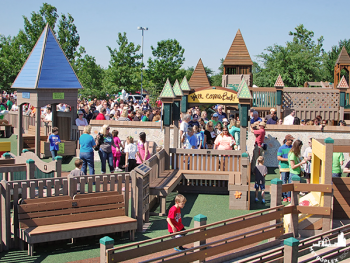 The poured-in-place rubber surfacing alone can cost more than a “typical” prefabricated playground, yet, it is the features such as the smooth rubber surfacing that make play truly inclusive. 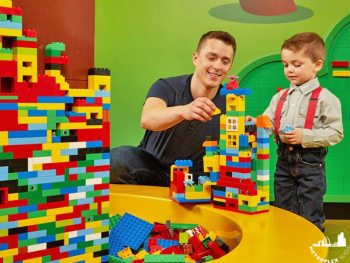 Because disabilities go beyond physical limitations, Dream Park’s design will meet the needs of children with mobility, sensory, and cognitive impairments. 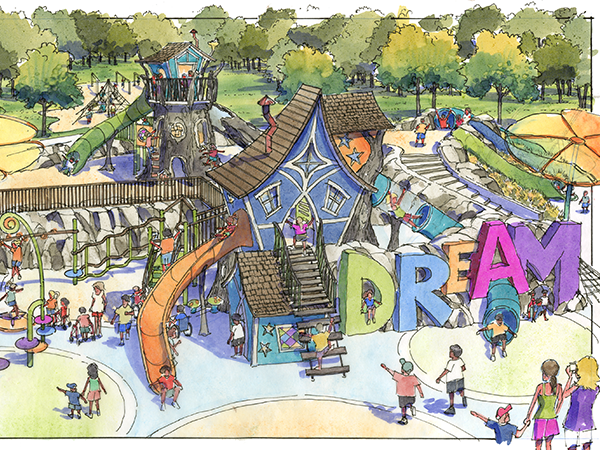 Dream Park is in Fort Worth’s Trinity Park, where the previous playground was located. 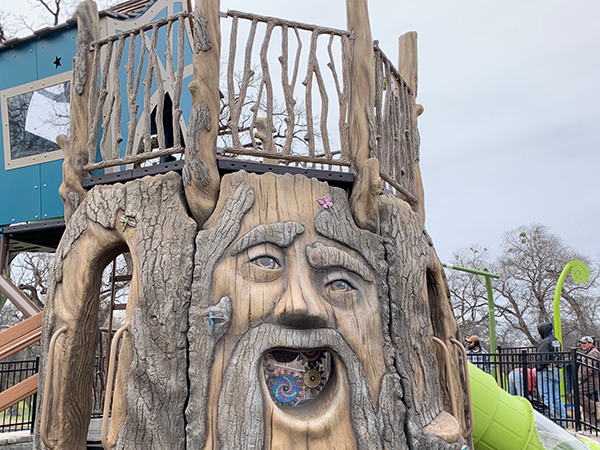 Dream Park Playground will open on April 15th, 2019 and there is a ribbon cutting at noon. 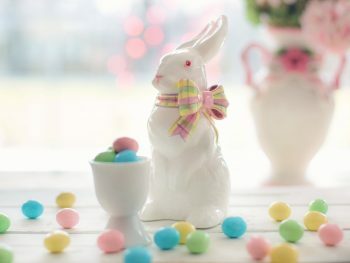 For more information, visit dreamparkfw.org or facebook.com/dreamparkfw. 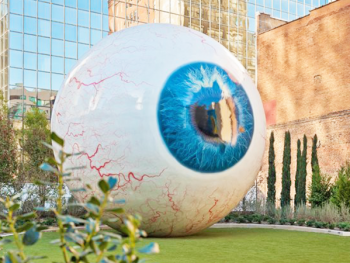 Be sure to sign up to get our free download of 15 Frugal and FREE Dallas Fort Worth Museums. 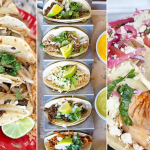 Just enter your email and it’ll be sent right to you. 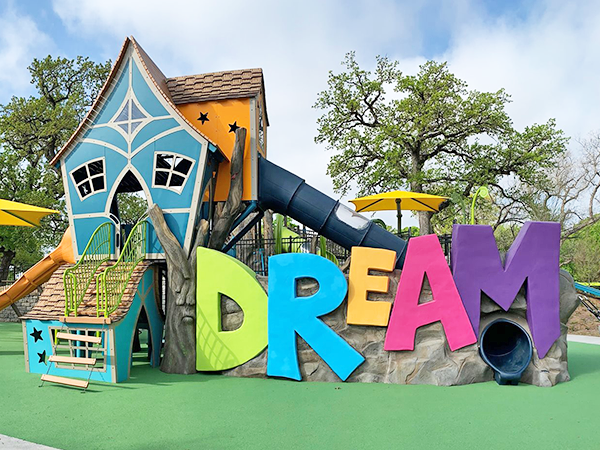 Fort Worth’s newest playground, Dream Park, is sure to be one of the FUNNEST places for kids of all abilities to play along side each other. 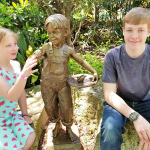 Kids with special needs can play with their able-bodied sibling or friend. 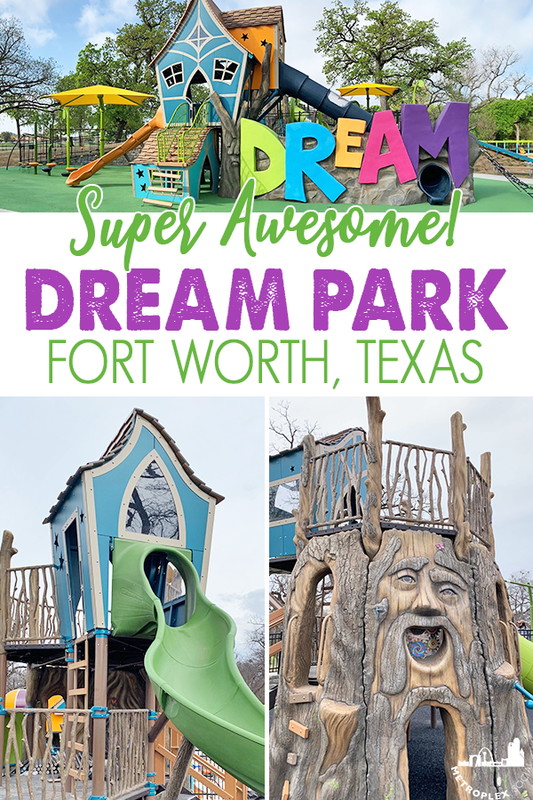 I hope you now see why Dream Park is the New Fort Worth Playground Everyone is Talking About!